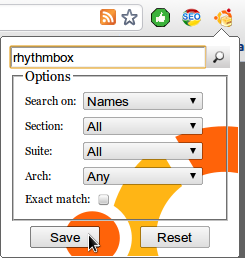 We featured a post on 'Three Must have Firefox Add-ons for Ubuntu Users' some time back. I wanted to do a similar post for Chrome/Chromium but could not find many extensions specifically made for Ubuntu users. So I decided to share these two extensions available as of now. The extension allows you to search Ubuntu Packages from the browser itself. Features a simple popup menu with many fields. You can also save your favorite options so that you do not have select them every time. This extension turns lines of text describing commands for installation into clickable apturl links that allow you to install the packages with just 2 clicks. Apturls are a way to install packages by using a protocol handler to read the list of packages to install. In simple terms, it turns "apt-get install" lines into clickable apturl links.